Franato shapewear is very comfortable.Use it all day with confidence as the flexible material accommodates to your body's figure.This body shaper will flatten your midsection and lift up the breast and buttocks.Wear it under everyday clothes or on special occasions for a more attractive figure. 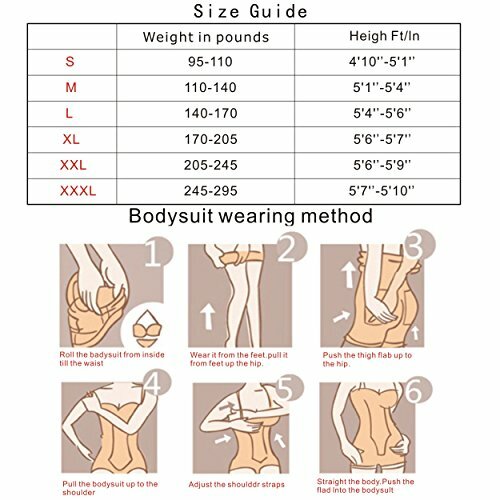 Please refer to size chart to ensure the proper fit. Per item has a FRANATO LOGO on the tags and package. FRANATO is a registered trade mark in USA.If you found have no FRANATO LOGO on the tags or package,you have got a fake item.Please report Amazon and get back your full refund. Adjustable straps Lift up the breast & buttocks Shapes the full back Size chart is only for your reference!